If you love shopping like I do, when you walk into an impeccably designed boutique filled with gorgeous clothing and accessories, you feel like a kid in a candy store- wide-eyed with excitement and hungry to try everything. 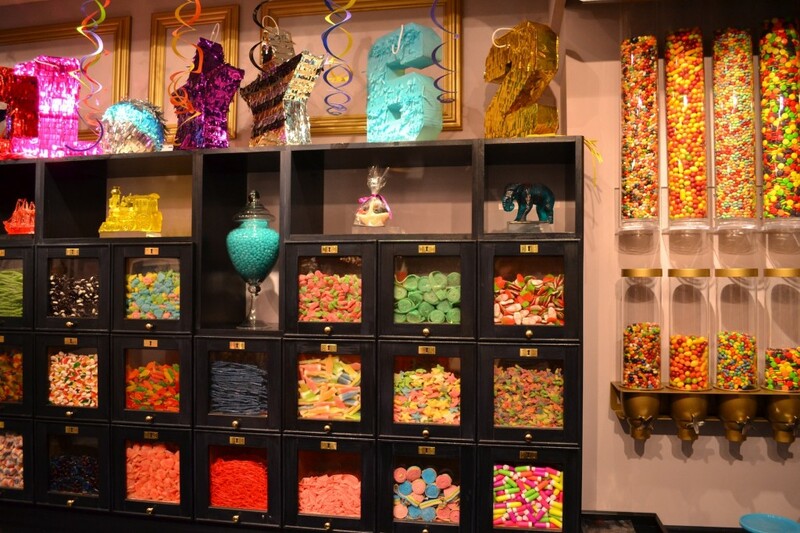 The twist on Cynthia Rowley’s new Upper East Side retail location is that there actually is a candy store right above the boutique! Cynthia has come up with the clever idea of combining shopping for beautiful designer clothing and indulging in a visit to the candy shop with your kids. 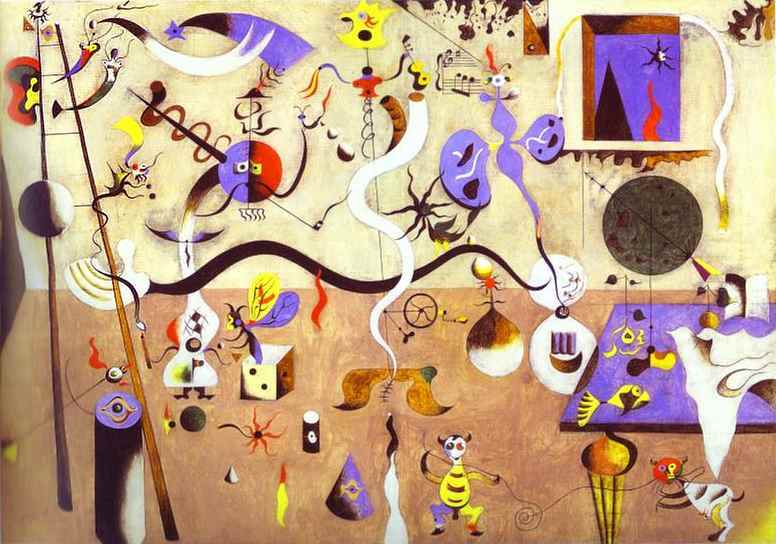 Joan Miró was a Catalan painter, sculptor, and ceramicist born on April 20, 1893. This is one of his best known works: Harlequin’s Carnival, painted in 1924-25. To view a gallery of Miró’s works dating from 1912-1971, click here. As we clicked through his collection, we loved watching the evolution of his painting style over the decades! Marian Anderson became the first African-American member of the Metropolitan Opera when she made her debut on January 7, 1955. Above, is her beautiful version of “Ave Maria” by Schubert. 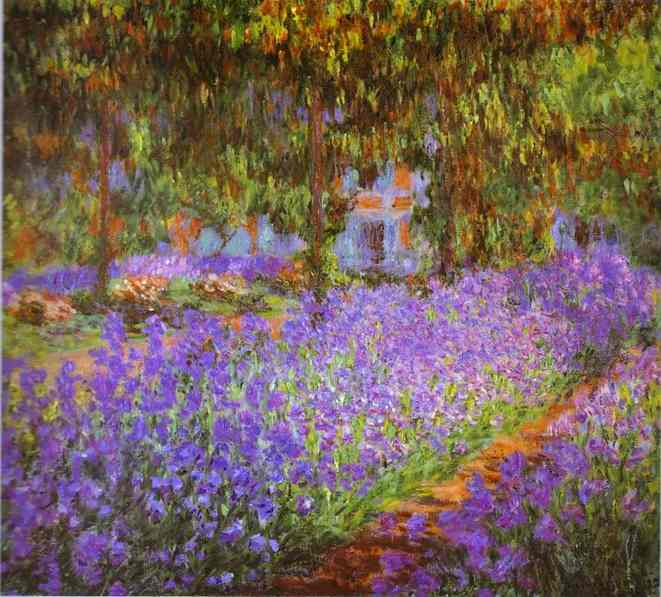 For Monet’s birthday, we picked 10 of our favorite paintings by the artist. Share with your children and visit them in person if you can! Click on images to enlarge. 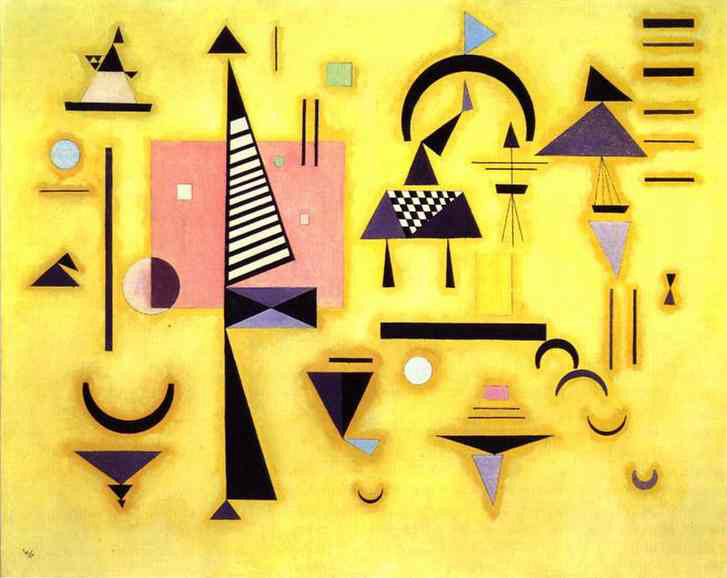 Wassily Kandinsky’s paintings are perfect to share with young children- his abstract artwork is full of recognizable shapes and colors! 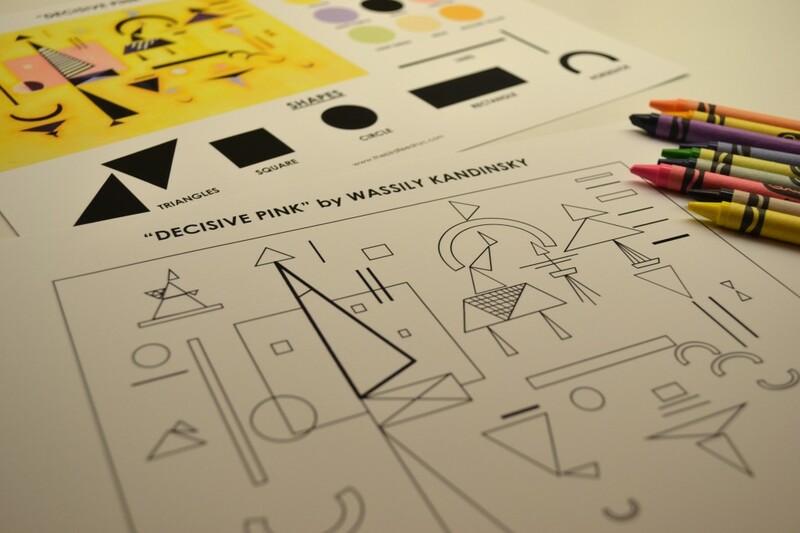 We created a printable coloring activity using Kandinsky’s 1932 painting “Decisive Pink”. 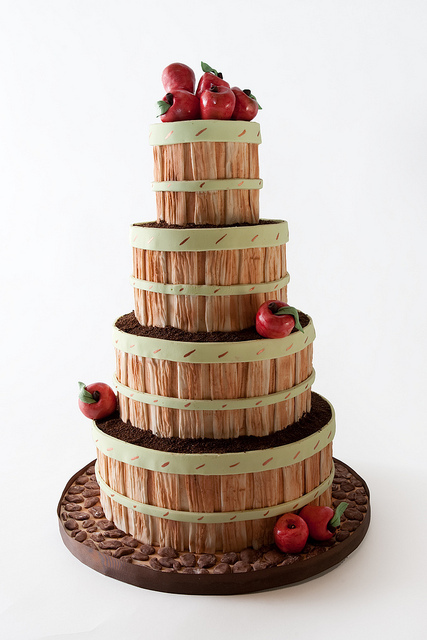 Click on the images below to enlarge and print. Roald Dahl was born on September 13, 1916 in Wales, UK. Some of his most beloved children’s books include Charlie and the Chocolate Factory, Matilda, James and the Giant Peach, The Witches, and The BFG. Take a few minutes today to read a little Roald Dahl with your kids in his honor! 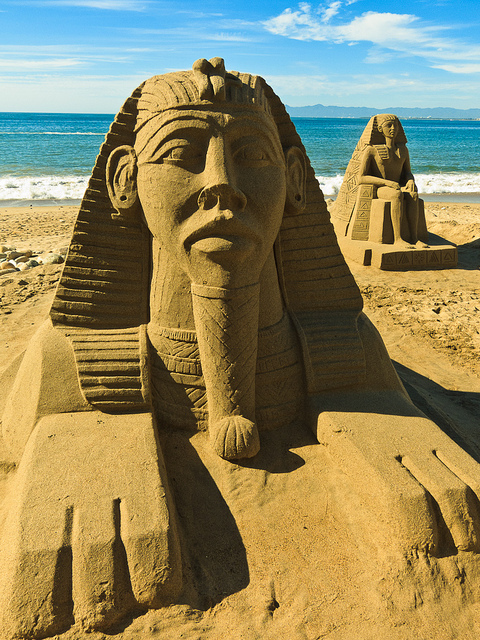 Click through to view our photo collection of stunning sand sculptures. 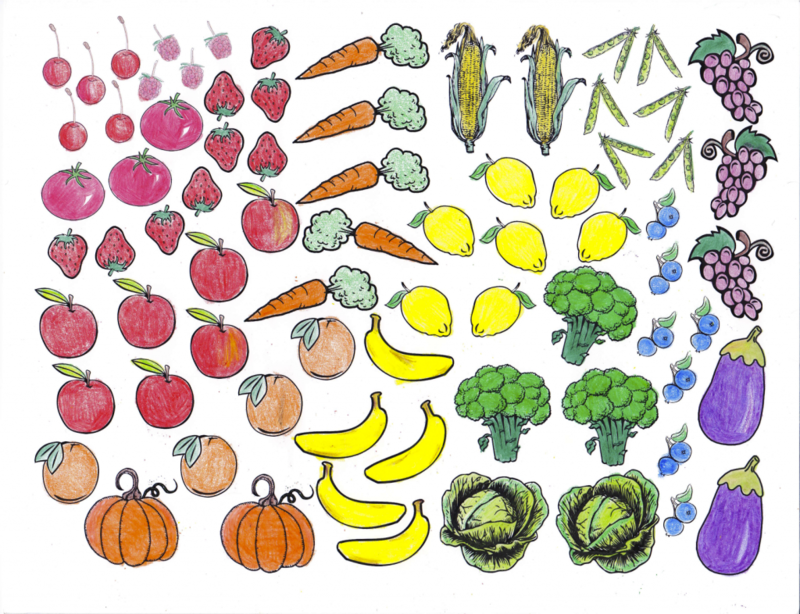 Our coloring sheet is perfect for identifying healthy fruits and vegetables by color. After your kids color it in, use the sheet for counting activities! Click below to download and print. Next week, we’re hosting a FREE Art Workshop for children at our Upper East Side studio! 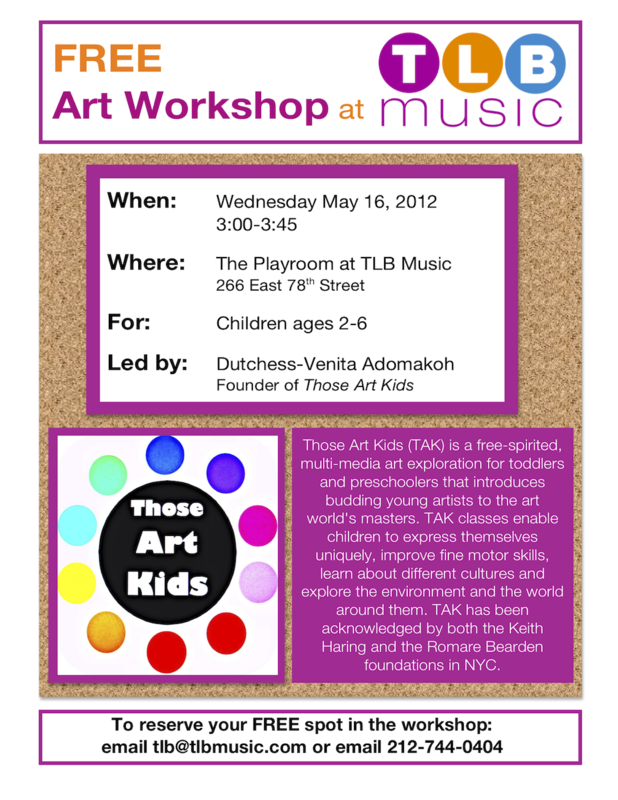 RSVP: Call 212-744-0404 or email tlb@tlbmusic.com to reserve a spot for your child! Those Art Kids (TAK) is a free-spirited, multi-media art exploration for toddlers and preschoolers that introduces budding young artists to the art world’s masters. TAK classes enable children to express themselves uniquely, improve fine motor skills, learn about different cultures and explore the environment and the world around them. TAK has been acknowledged by both the Keith Haring and the Romare Bearden foundations in NYC. In New York City, there are countless classes developed for young children. 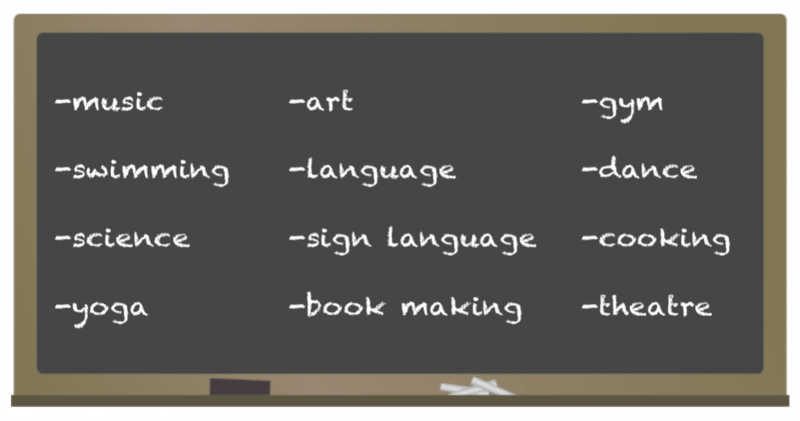 Parents are faced with choosing from the wide variety that the city has to offer- music, art, gym, swimming, language, dance, science, yoga, theatre, cooking, sign language, and more! How do you decide what classes to take? The best way to start is by taking a trial class or a drop-in class to see your child’s response to each program. If a trial or drop-in isn’t available, stop by the location to see the space in person and meet the staff before signing up! One of our favorite classical pieces to play in our music classes is Aquarium by Camille Saint-Saens. Aquarium is the 7th Movement of Saint-Saens’ Suite Carnival of the Animals. Our students love dancing to the soothing melody and shimmering glissando of the piece. 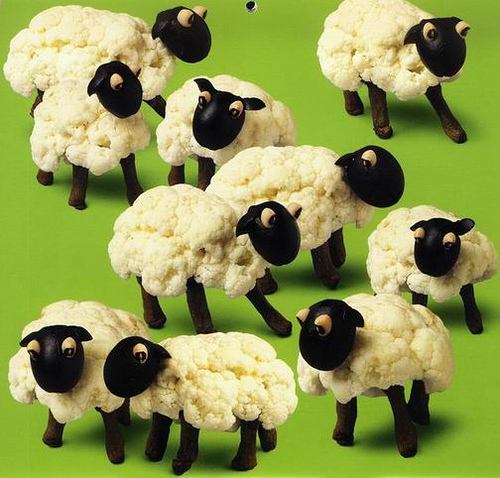 We put together a list of great works of art to share with young children. 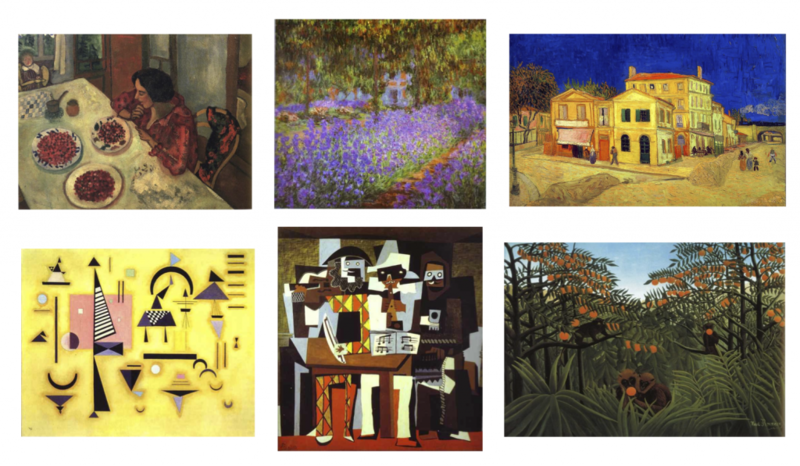 The list includes artwork from Picasso, Chagall, Dali, Rousseau, Van Gogh, Monet, Kandinsky, and more! Give your children the full experience of appreciating artwork by asking engaging questions about each painting that you view. Experiencing art is entirely subjective so you’re sure to be fascinated by what your children see. We’ve included sample questions for each piece to help you get your children talking and thinking about art. 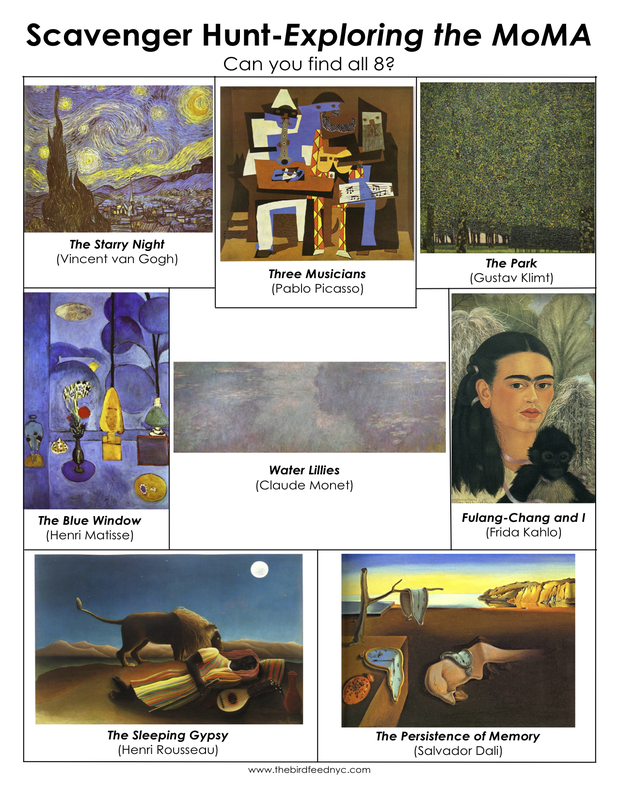 Click on the paintings to view them larger! Check the locations of the paintings listed below so you can see the artwork in person if it’s in your area. New Yorkers- several of these paintings are at the MOMA, the Guggenheim, and the Met. Make sure to get out there with your children to see them up close!